The governor of the Bank of Canada says after a decade of low-interest rates around the world the global economy has reached stronger footing where stimulus can be "steadily withdrawn." 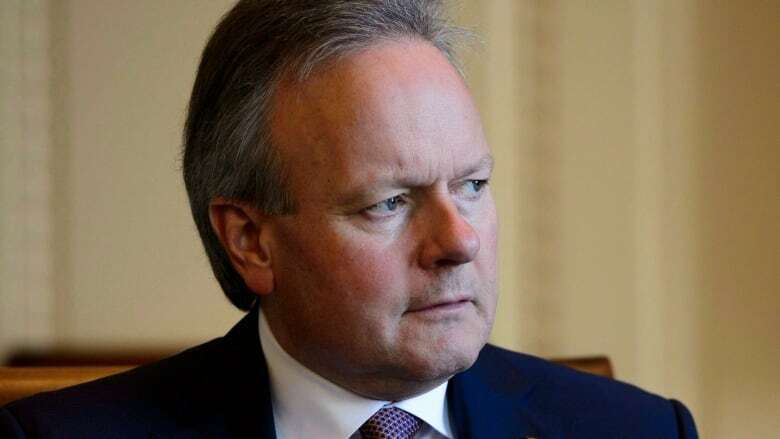 Stephen Poloz's remarks Monday came as the Bank of Canada signals it will gradually raise its benchmark interest rate from its current level of 1.75 per cent to a so-called neutral stance of somewhere between 2.5 per cent and 3.5 per cent. The big question is how quickly the rate will rise. Poloz recently introduced the central bank's fifth interest rate hike in 15 months and warned Canadians, many of whom are carrying high levels of debt, to get used to the idea of three per cent interest rates as the new normal. In prepared remarks of Poloz's speech Monday in the United Kingdom, he said the world economy has made considerable progress in shaking off the effects of the 2007-08 financial crisis. Interest rates around the world have remained very low over that period. He also said the risks of international trade actions, both actual and threatened, have preoccupied investors. But he argued these risks are two-sided and resolutions to disputes can provide fresh economic lifts. "We have seen exactly this dynamic play out in Canada, as fears that [the North American Free Trade Agreement] would be torn up have been replaced with relief after agreement on the United States-Mexico-Canada trade agreement," he said. "In general, it is not appropriate for a central bank to formulate policy based on only one side of a risk distribution. Rather, the Bank of Canada must attempt to weigh both the upside and downside risks and take a middle, risk-balanced path." Poloz reiterated Monday that Canada's projections for economic growth and inflation mean interest rates will continue to move higher. The central bank raises rates to keep inflation from climbing too high. The Bank of Canada, he added, will decide on the appropriate pace of the increases based on how well the economy adapts to higher interest rates established by earlier hikes, given the high levels of household debt. He also said the central bank will pay close attention to new developments in international trade.